ompletely revised to reflect the new ACI 318-08 Building Code and International Building Code, IBC 2009, this popular book offers a unique approach to examining the design of prestressed concrete members in a logical, step-by-step trial and adjustment procedure. Integrates handy flow charts to help readers better understand the steps needed for design and analysis. Includes a revised chapter containing the latest ACI and AASHTO Provisions on the design of post-tensioned beam end anchorage blocks using the strut-and-tie approach in conformity with ACI 318-08 Code. Offers a new complete section with two extensive design examples using the strut-and-tie approach for the design of corbels and deep beams. Features an addition to the elastic method of design, with comprehensive design examples on LRFD and Standard AASHTO designs of bridge deck members for flexure, shear and torsion, conforming to the latest AASHTO specifications. Includes a revised chapter on slender columns, including a simplified load-contour biaxial bending method which is easier to apply in desiign, using moments rather than loads in the reciprocal approach. A useful construction reference for engineers. This fourth edition revises the previous text . 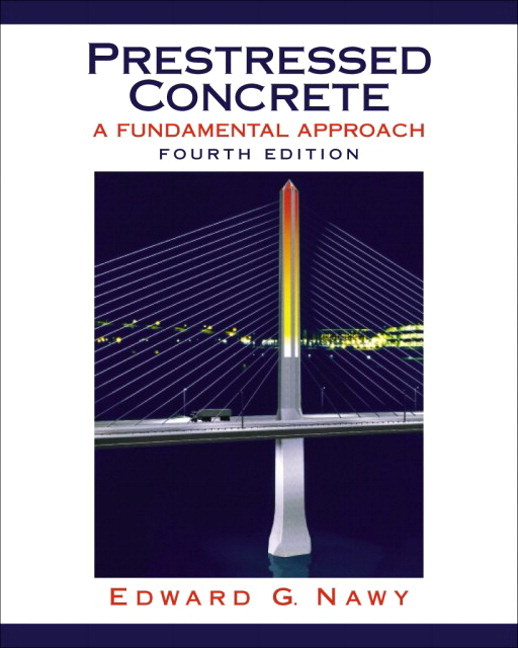 There are 15 chapters covering: (1) introduction (historic development of structural concrete, basic design theory); (2) concrete producing materials; (3) concrete (mix design, tests, properties, quality control, placing and curving); (4) reinforced concrete (general chapter on design and safety); (5) flexure in beams; (6) shear and diagonal tension in beams; (7) torsion; (8) serviceability of beams and one-way slabs; (9) combined compression and bending: columns; (10) bond development of reinforcing bars; (11) design of two-way slabs and plates; (12) footings; (13) continuous reinforced concrete structures; (14) introduction to prestressed concrete; (15) seismic design of concrete structures. The appendices cover: (a) computer programs in Q-Basic; (b) tables and nomograms.